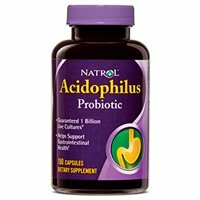 Overall, I gave Natrol Acidophilus Probiotic a 2.5 out of 5 stars. I really like this supplement as a daily probiotic because it contains 1 billion cells and one solid strain, Lactobacillus acidophilus. I found this supplement to be gentle and effective for daily use. I am very impressed with the price of this probiotic. It’s extremely inexpensive, maybe one of the cheapest I’ve seen so far! So I think it’s a great value. While taking this probiotic, I didn’t feel any negative side effects and I actually felt really good the entire time. This probiotic is NOT allergy friendly because contains MILK. This is a big no-no and such a disappointment. You also have to take 3 capsules a day (preferably one 30 minutes before each meal). I don’t know about you, but 3 capsules are more than I’d like to take a day. I prefer the one and done method so I don’t have to worry about it. You also have to keep these capsules refrigerated after opening, so they aren’t good travel buddies. 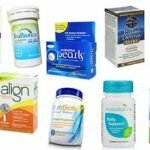 Overall, I really like how affordable and effective Natrol Acidophilus Probiotic is but it’s hard to get past the amount of capsules needed each day, allergy concerns, and lack of travel ease. Natrol Acidophilus Probiotic has 1 strain with 1 billion live cells included. 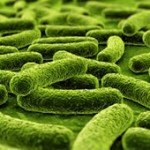 As the name suggests, the single probiotic strain used is Lactobacillus acidophilus. I am a big fan of Acidophilus because it’s a very tried and true probiotic. It has been researched to show potential benefits in supporting gastrointestinal health and balancing out the body’s bacteria levels. Acidophilus may also help with Irritable Bowel Syndrome (IBS), diarrhea, and the digestive breakdown of lactose. Along with digestive support, this strain may also help boost immune function, lower high cholesterol, and help lessen asthma symptoms. This probiotic does have allergy concerns. The supplements contain MILK in the form of whey powder. This is SO unfortunate because so many individuals out there are lactose intolerant. However, it is free of many other common allergens such as: egg, fish, crustacean shellfish, tree nuts, wheat, peanuts, soybeans, starch and yeast. 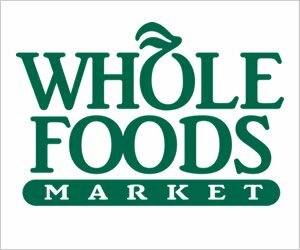 As a perk, it doesn’t have any artificial colors, flavors, added sugars, or preservatives. 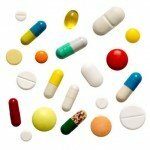 The other ingredients in the capsules are: silica, cellulose, gelatin, water, and magnesium stearate. A 150-capsule bottle of Natrol Acidophilus Probiotic costs $10.49. This ends up being a mere $0.20 cents a day to take it. This is an incredible price. I have yet to see a probiotic that is this inexpensive. I was very happy with the price tag and think it’s very affordable with a good value. I was a happy camper while taking this daily probiotic. I didn’t experience any adverse side effects. I actually felt really good the entire time I was taking these. Unfortunately, I couldn’t find any sort of money back or satisfaction guarantee on Natrol’s website. This is a big let down, I like when companies can back their products up with some kind of guarantee. To buy Natrol Acidophilus Probiotic, click here.